When a young bear’s aunt decides that she is too old to care for him, she tells him of older days, when kids would wait at train stations to find new families, and suggests that he could do the same thing today. She places a note around his neck saying “Please look after this bear,” and then sends him on a boat journey from Peru to London. The bear arrives at Paddington Station in London and begins asking passersby to be his family; he is ignored. Alone and dejected, the bear is noticed by the Brown family who give him the name Paddington, and offer him at least one night of lodging in their home. They then try to help Paddington find a family, and the best idea they have is to find a local explorer who had long ago visited Paddington’s family of talking bears in Peru. Their search is complicated, however, when a local taxidermist decides that she wants to get her own hands on Paddington. Paddington’s bear-language name is a series of ursine growls that is hard for English speakers to pronounce, so they give him an English name – although they do ask his permission first. The family explains to Paddington, “When a young person comes to this country in a boat, you don’t go with the first family you’re with. You find a guardian – an adult who looks after you.” Paddington lights up, saying “Like you!” To which they reply, “Yes, but not us. It’s usually someone you know” and suggests that if there isn’t anyone you know, you go to an orphanage. 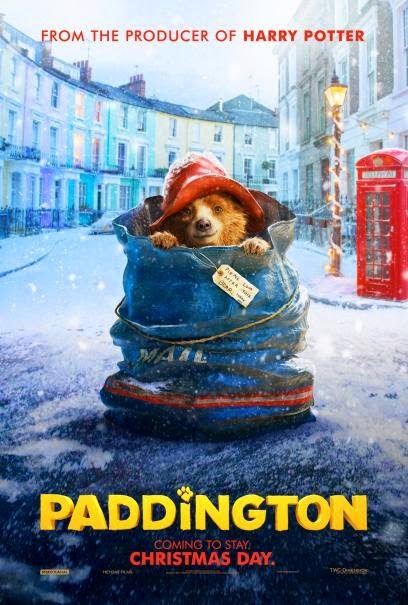 Paddington tries to find a former family friend to live with, but when he goes to find the records that would lead him to this person, he finds that the records are withheld from him. Many adult adoptees will resonate painfully with this scene. Many foster families believe that their foster kids lie. The Brown family believes this about Paddington when his stories seem unbelievable, but later we learn that his stories are true, but filtered through his point of view. Paddington optimistically realizes, “In London, everyone is different, but that means anyone can fit in. I don’t look like anyone else, but that’s OK because I’m a bear – a bear named Paddington.” This could be an encouraging message for people who were adopted across national boundaries. The Browns mistakenly believe that Paddington is a liar. He overhears a conversation where they say, “He won’t tell us the truth. How can he live with us if we can’t even trust him. 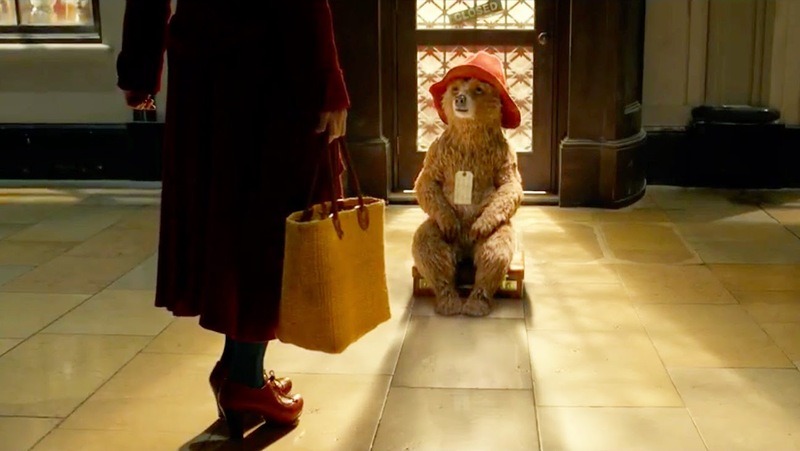 Maybe this isn’t the place for him.” Hearing this breaks Paddington’s heart. He gathers his belongings and runs away, leaving a goodbye note. After he runs away, he walks through the cold, rainy London streets knocking on any doors that might belong to the explorer that once knew his family; Paddington is very persistent, but his persistence isn’t rewarded. As one of Adoption at the Movies' readers on Facebook commented, when Paddington breaks the Brown family's rules, their first inclination is for him to leave the home. 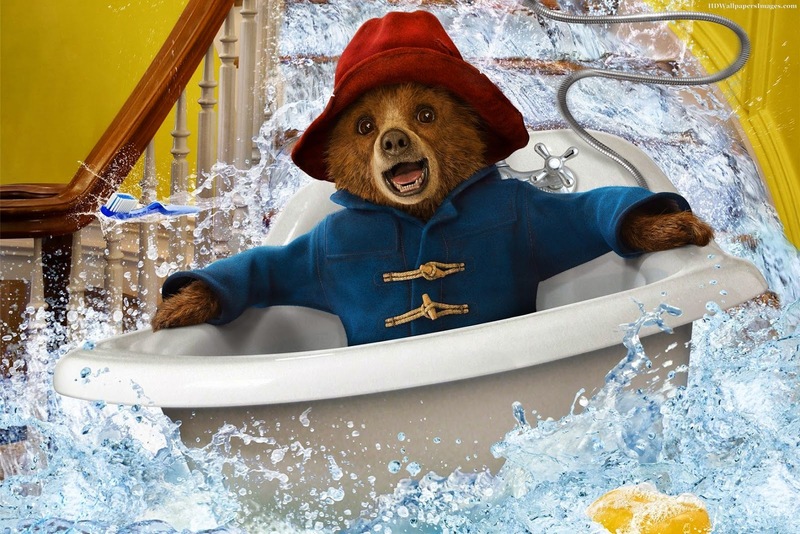 Paddington's life is threatened - and he is nearly killed - by a crazed museum employee. This is a charming film that could be helpful for families who have adopted internationally or through foster care. It’s optimistic about successfully forming a family, while honest in depicting the difficulty in doing so, and the feelings of loneliness and “not fitting in” that might be common in situations where a young person is far from their family and place of origin. 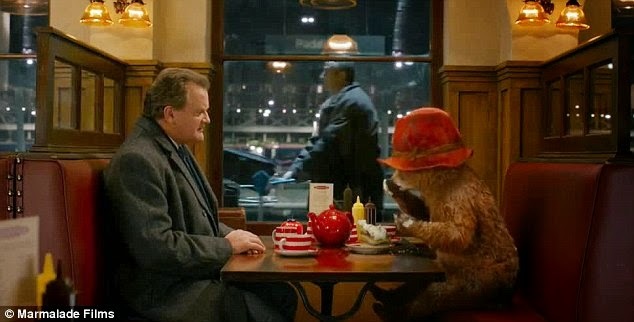 There are some frightening sequences (The taxidermist does try to tranquilize, stuff, and preserve Paddington), and some of Paddington’s emotional pain might resonate strongly with some viewers who have waited a long time for a family to call their own or who have experienced rejection from foster families or other trusted adults. One villain suggests that Paddington can’t be family with the Browns because they are different species; but the family itself has become a positive, safe, and loving place for Paddington. Parents can talk through this points with their children. Overall, the film seems to be optimistic, honest, and fun. I’d suggest it as a good choice for most kids ages 8 and up, with parents present to answer questions. What makes it hard to be in a new place? What eventually helped Paddington feel at home? Mr. Brown said that family means sticking together. What do you think family means? Any chance you will have a review soon for Paddington 2? Wanted to bring a group of adopted children to this movie, but wondered what you thought? Hi Joanna! Thanks for the request. I did watch the film, and hope to have a review up soon. There’s definitely trigger potential (spoiler alert..........,) he gets separated from his adoptive family and taken to prison; he comes to believe that they have forgotten about him when they miss a visit.